Send them a burst of bold colours that will enhance the warmth and beauty of the season with a lovely bouquet of liliums, gerberas, lisianthus and astrantia, which are delicately arranged with seasonal greenery. Blown away by the gorgeous flowers delivered from here. I've never seen a bouquet like it. Absolutely perfect! That is all I can say about my flowers! I needed the flower first thing in the morning so you can imagine my delight to receive them at 08:55am - very prompt flower delivery! Loved the flowers! They were delivered on time. I could tell that they were freshly cut and arranged by a professional. The best flower delivery service I've used so far!! Haven't seen anything quite as beautiful as this bouquet! They were very polite. I will use their services again soon. 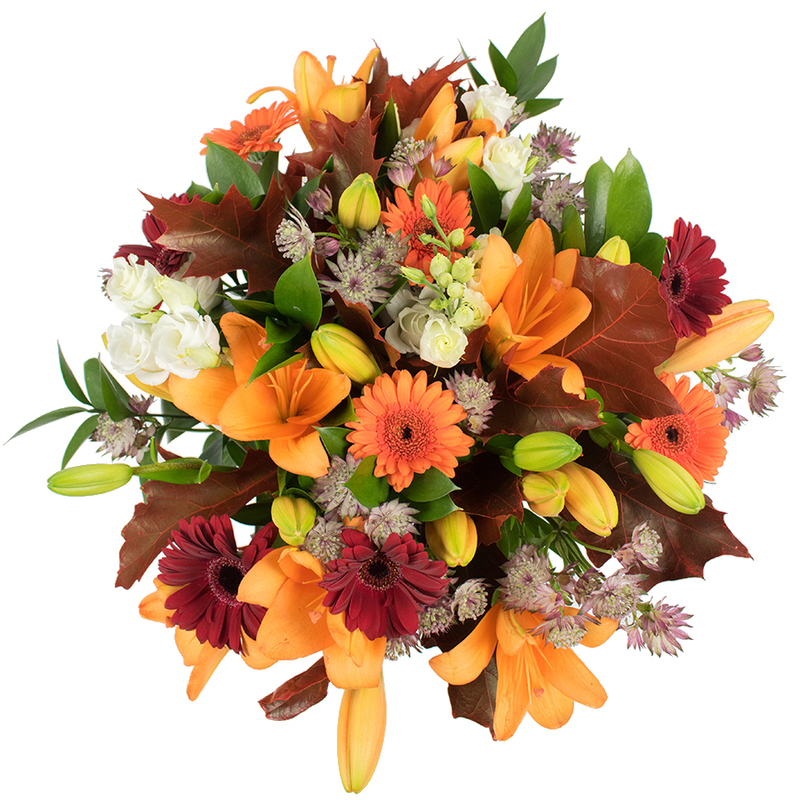 Ordered this bouquet to be delivered to my sister in Cornwall. She called during the day to thank me for the amazing flowers. Good job Handy Flowers. Thank you for your help!